The EHR Alternative Certification for Hospitals program allows organizations to take a road less traveled toward meaningful use. In a time when meeting meaningful use requirements is at or near the top of most healthcare organizations’ to-do lists, facilities are taking various paths to achieving their goals. For example, in September, another of the nation’s hospitals joined the small but growing number of healthcare organizations that have certified their EHRs through the EHR Alternative Certification for Hospitals (EACH) program developed by the Certification Commission for Health Information Technology (CCHIT). By doing so, they took the first step in satisfying the meaningful use requirements necessary to obtain federal incentive payments. EACH is designed for hospitals that have uncertified legacy software, customized commercial products, or self-developed EHR systems. Instead of relying on vendor-certified products, these organizations take a homegrown approach. • MedMagic LLC (complete EHR). According to the CCHIT, the EACH program is designed to evaluate how an organization’s technology measures up to meaningful use certification requirements and allows it to pursue certification of any existing EHR that’s not vendor certified. 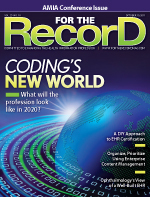 • Why spend time educating and preparing staff when you can purchase vendor-certified EHRs? • Why commit to a lengthy certification process when personnel could be busy doing something more directly productive? • Why risk upsetting clinicians by introducing a new layer of administrative duties and another obstacle to efficient patient care? CCHIT officials and IT managers at EACH-certified healthcare organizations offer several reasons why it’s worthwhile to obtain the designation, most prominently that it offers a path to federal incentives without purchasing a new EHR system and without disrupting workflow. For its part, the CCHIT provides tools to help organizations meet the criteria. For others considering certification through the EACH program, Mullaly recommends gaining full executive support and a thorough understanding of the complete/modular EHR concept. “Create a visual diagram of the functions and applications required to meet test scripts,” she says. Mullaly says organizations would be wise to take advantage of the available testing tools through the CCHIT. Also, interoperability requirements should be tested and a detailed gap analysis should be performed to determine readiness. CCHIT officials and IT managers at EACH-certified hospitals insist that ample preparation is the key to success. To start, become familiar with the testing procedures of the Office of the National Coordinator for Health Information Technology and the National Institute of Standards and Technology. These criteria and procedures are accessible on the CCHIT website. • support provided by EACH program staff and access to an online community of other hospitals participating in the program. Prior to assessment, facilities are advised to make time to practice the test steps before applying for certification. At UNC, test scripts were videotaped in an effort to gain a better feel for the process, and an IT training team ran through the certification program from start to finish. Benefits accrued, both obvious and shrewd. Video recordings were also played while Web conferencing with CCHIT staff. “I would say, ‘Are we going up the right path here?’ It was great because they were able to watch what we were planning on doing and tell us, ‘Yep, this is good,’ or ‘No, you didn’t quite get this right,’” Nauss explains. Not everyone is waving a banner in favor of EHR certification, meaningful use attestation, and the pursuit of incentive payments. Some are concerned about the administrative burden placed on physicians and staff. Beyond that, what is anyone actually gaining with EHR certification? Among its more vocal critics is Paul M. Roemer, managing partner at HealthcareITStrategy.com. The idea behind EHRs is to enhance, not diminish, effectiveness, a promise Roemer hasn’t seen fulfilled enough to back up the technology’s price tag. “Certification, to be of value, must imply that the act of certifying—like the Good Housekeeping Seal of Approval—is intended to show that a certified EHR is somehow better for healthcare than a noncertified EHR,” he continues. The benefits at UNC have been clear, according to Nauss, who says the hospital’s EHR has had far-reaching effects as a catalyst for several projects. Mulally says the cost for becoming certified under the EACH program varies according to various factors, including the number of systems being certified. In Langone’s case, the price tag was $32,550, according to Mulally, who says it was a worthwhile investment. Becker says more than 100 organizations have registered to become part of the program, with 50 of those actively in the process of evaluating either complete or modular EHR certification. Meanwhile, other providers have used EACH to attack EHR certification from a different angle. “Some organizations have used EACH to evaluate their status and then gone back to their vendors and managed to get the vendor to certify the version of software they are using,” notes Becker, adding that the CCHIT is satisfied with the program’s progress during its first year of existence.